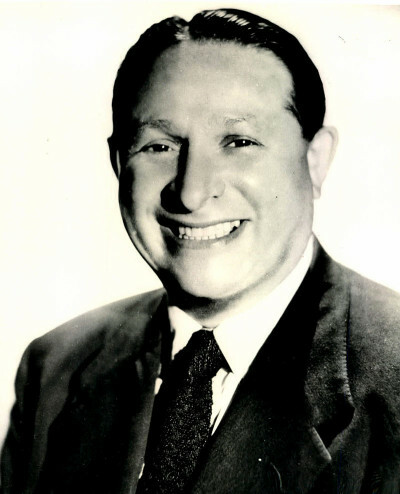 Abe Saperstein (July 4, 1902 – March 15, 1966) was an owner and coach of the Savoy Big Five, which later became the Harlem Globetrotters. He was born in London, England, to a Jewish family. 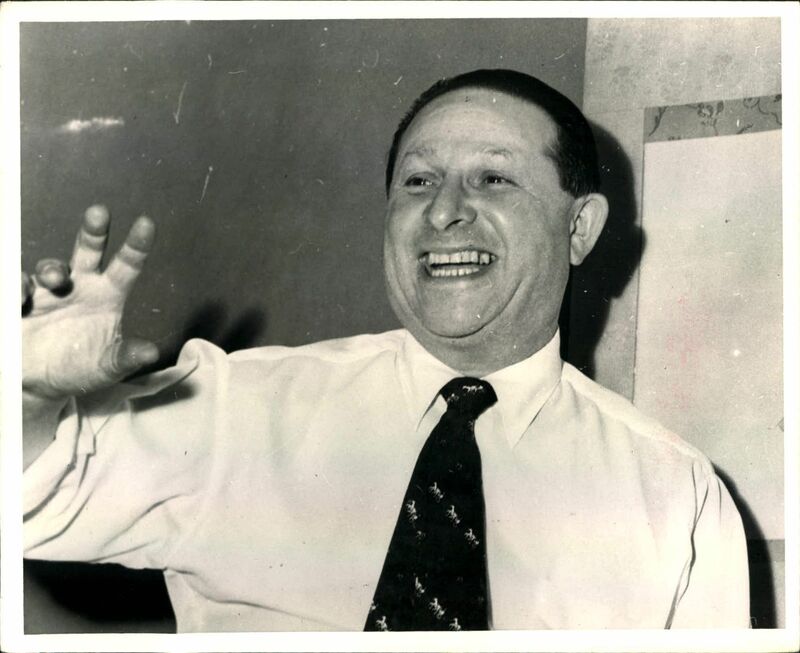 Saperstein was the commissioner of the American Basketball League, which he founded in 1961 after repeatedly being denied an NBA expansion franchise. He also owned the Chicago Majors team in that league. In an effort to differentiate the ABL from the NBA and promote it, Saperstein introduced the three-point shot. In the 1988 Harlem Globetrotters documentary 6 Decades of Magic, it was noted that Saperstein chose “Harlem” to indicate that the players were African-American, even though they were actually from Chicago, and the “Globetrotters” moniker to make it seem as though the team had traveled all around the world. Saperstein sewed the team’s first red, white and blue jerseys himself, presumably having learned this skill from his tailor father. 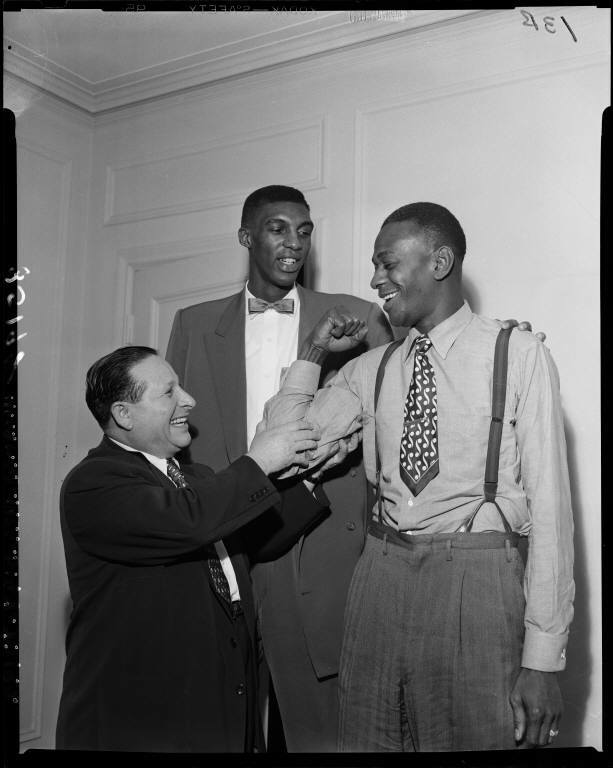 Abe Saperstein, whose 5 ft 5 in (1.65 m) stature may render him as Basketball Hall of Fame’s shortest member, was elected to the Hall in 1971. In 1979, he was inducted into the International Jewish Sports Hall of Fame. He played baseball, basketball, and ran track at Lake View High School. He played as a guard for the Chicago Reds. He was buried in the Westlawn Cemetery in Norridge, Illinois, near Chicago.